Whatever life transition brings you through our front door, we’ll take the time to listen to your needs. 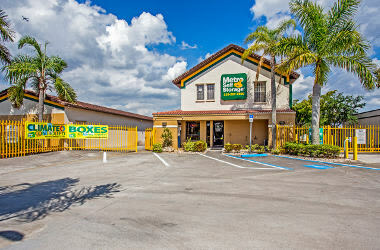 Metro Self Storage in Lehigh Acres specializes in business and personal storage. We offer several options for climate-controlled units as well as large storage units with oversized roll-up doors. Whether you need a small 5X5 storage unit, a large 10X40 unit, or something in between, our facility features over a dozen different storage unit sizes. When you need help or have questions our Property Manager is here to assist you seven days a week. Our month-to-month leasing means you can have storage for as long or as little time as you need. Visit us during our convenient office hours and let us help you make more space in your life today. 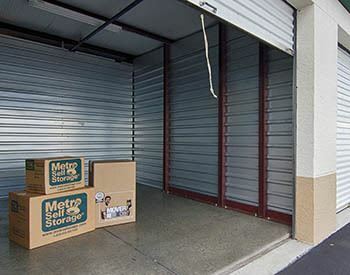 Storing with Metro Self Storage is like having an extra office or warehouse space just around the corner. Store your equipment, documents, inventory, or extra office furniture short- or long-term. We offer commercial storage unit sizes up to 480 sq. ft., which can give you the flexibility to store anything from records and documents to the contents of a small warehouse. Climate-controlled units maintain a steady temperature insulating essential business items from damage caused by severe humidity and extreme temperature swings. 24-hour access, online payments and account management, and 24-hour surveillance cameras offer the ultimate in service and convenience. Call us and find out how easy it is to move in with Metro. We can help you get started with a variety of business storage solutions today.